Connect Salesforce Campaigns with Campaign Monitor. 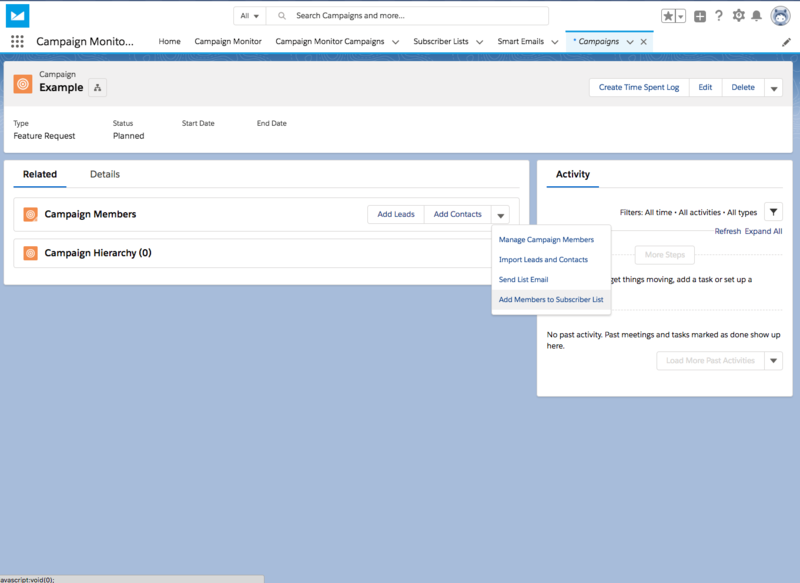 Add Salesforce Campaign Members to a list in Campaign Monitor. View rolled up Campaign tracking when a Salesforce Campaign is linked to a Campaign Monitor Campaign. Working with Salesforce Campaigns is optional given that the functionality is largely duplicated in Campaign Monitor. However linking can be useful if you are working with multiple Salesforce Campaigns in a hierarchical structure. In Salesforce, create a new Salesforce campaign or open an existing record. In the Campaign Monitor Statistics section, click Link to Campaign Monitor. Select an available campaign and click Link Campaign. 1. It has not been sent. 2. It is already linked. 3. It was sent before the primary sync has run. 4.You have too many Campaigns (Salesforce pick list does have a limit on the amount of values it can display). On our general settings tab there is an screen for Campaigns. On this screen you can turn on a feature that will automatically create Salesforce Campaigns for each Sent Campaign Monitor Campaign. To learn more about Campaign Settings click here. The integration will only create Campaign Monitor Campaigns in Salesforce when they have actually been Sent. Depending on your sync settings it can take an hour (by default) from when the Campaign has been sent to appear in Salesforce. This setting is not retrospective, Campaigns will only be created after this setting is enabled. Go to the Campaign Member related list. Click on the Add Members to subscriber list option. 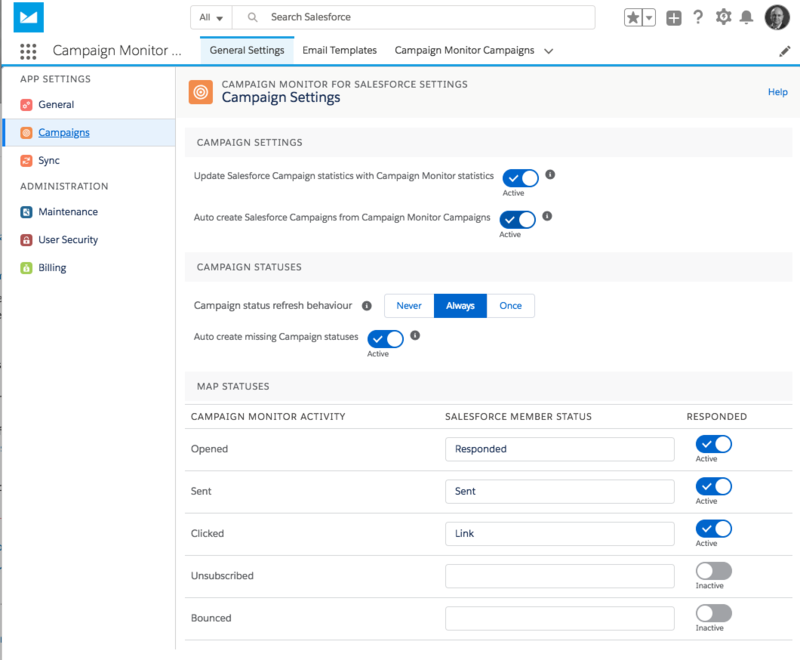 When a campaign is linked between Salesforce and Campaign Monitor, any email members that were on the sent campaign will be automatically linked to the Salesforce campaign.